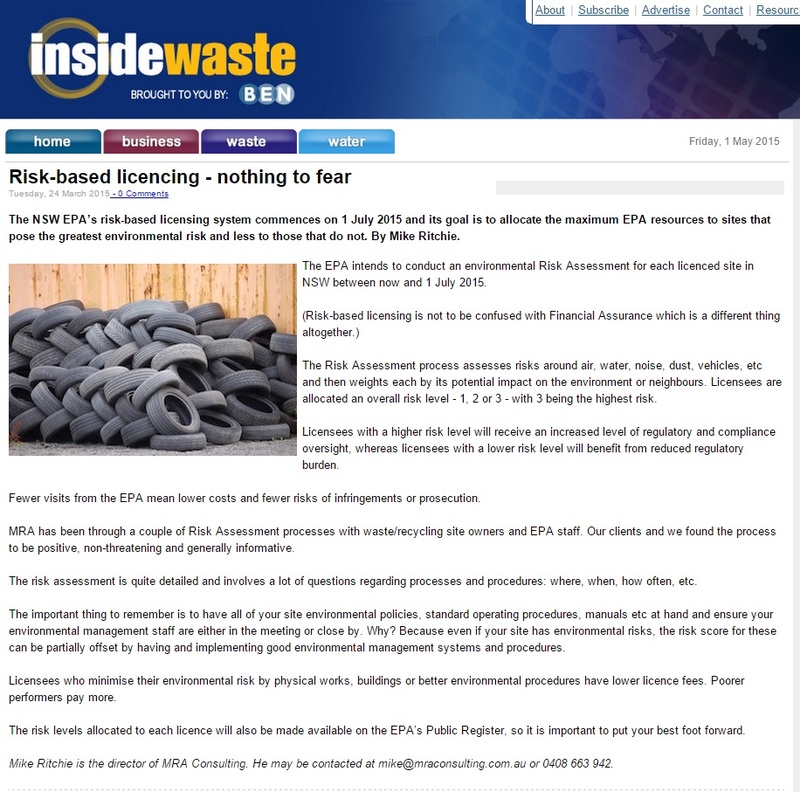 The NSW EPA’s risk-based licensing system commences on 1 July 2015. The goal of Risk Based Licensing is to allocate the maximum EPA resources to those sites that pose the greatest environmental risk and less to those that do not. 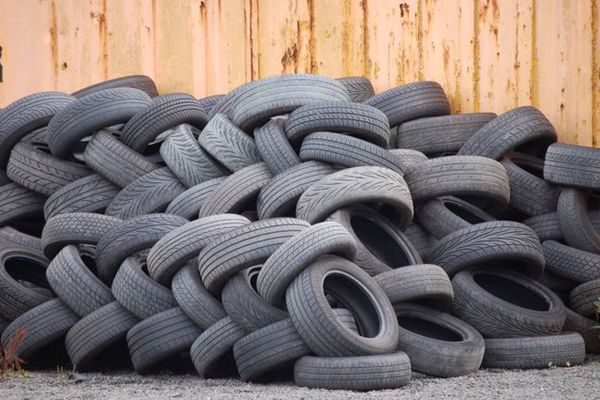 The EPA intends to conduct an environmental Risk Assessment for each licenced site in NSW between now and 1 July 2015. (Risk Based Licencing is not to be confused with Financial Assurance which is a different thing altogether). The Risk Assessment process assesses risks around air, water, noise, dust, vehicles etc and then weights each by its potential impact on the environment or neighbours. Licensees are allocated an overall risk level – 1, 2 or 3, with 3 being the highest risk. Licensees with a higher risk level will receive an increased level of regulatory and compliance oversight, whereas licensees with a lower risk level will benefit from reduced regulatory burden. Fewer visits from the EPA mean lower costs and fewer risks of infringements or prosecution. MRA has been through a couple of Risk Assessment processes with waste/recycling site owners and EPA staff. We and our clients, found the process to be positive, non-threatening and generally informative. The risk assessment is quite detailed and involves a lot of questions regarding processes and procedures: where, when, how often etc. The important thing to remember is to have all of your site environmental policies, standard operating procedures, manuals etc at hand and ensure your environmental management staff are either in the meeting or close by. Why? Because even if your site has environmental risks, the risk score for these can be partially offset by having and implementing good environmental management systems and procedures. Licensees who minimise their environmental risk (by physical works, buildings or better environmental procedures), have lower licence fees. Poorer performers pay more. The risk levels allocated to each licence will also be made available on the EPA’s Public Register, so it is important to put your best foot forward. If you need any help, contact mike@mraconsulting.com.au. Processing or storing waste in NSW? Don’t get caught short – August 1st deadline!